When Janice Studholme became 60 in January, she turned her milestone birthday party into a fundraiser for the oncology unit at the Royal Lancaster Infirmary (RLI) to say thank you to staff for the care her family have received at University Hospitals of Morecambe Bay NHS Foundation Trust (UHMBT) over the past 14 years. The fundraiser held at Trimpell Sports and Social Club in Morecambe, raised £2,540.25 for Bay Hospitals Charity. The money will be used to purchase new treatment trolleys for the unit. Janice, of Heysham near Lancaster, was diagnosed with cervical cancer when she was 28 and treated at London’s University College Hospital. She attended follow up appointments at the RLI in 1986 when she moved back to the area and shortly after went into remission. Eighteen years later the family faced a new battle when husband Ron was diagnosed with breast cancer and in the same year tests showed their daughter Vicki had thyroid cancer. Vicki received further treatment for the condition in 2013. A routine scan in 2008 showed Ron had Non-Hodgkin Lymphoma and in July 2017 tests revealed he has widespread lymphadenopathy (a disease of the lymph nodes). “With all of the help and support from the team at the RLI our lives have been made so much better, focusing on the future whatever it may entail. Dr Howarth and all the nursing staff have been caring and extremely kind, are always on call 24 hours a day for both myself and my family. Janice and Ron, who used to run the Boot and Shoe pub in Lancaster, have raised over £20,000 for charities over the years including the Christie Charity and St John’s Hospice Lancaster. 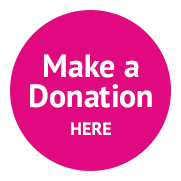 To chat to us about fundraising for Bay Hospitals Charity, please email charity@mbht.nhs.uk or call either Judith in our Lancaster Charity Office on 01524 516064 or Heidi in our Barrow Charity Office on 01229 404473. We’d love to hear from you!